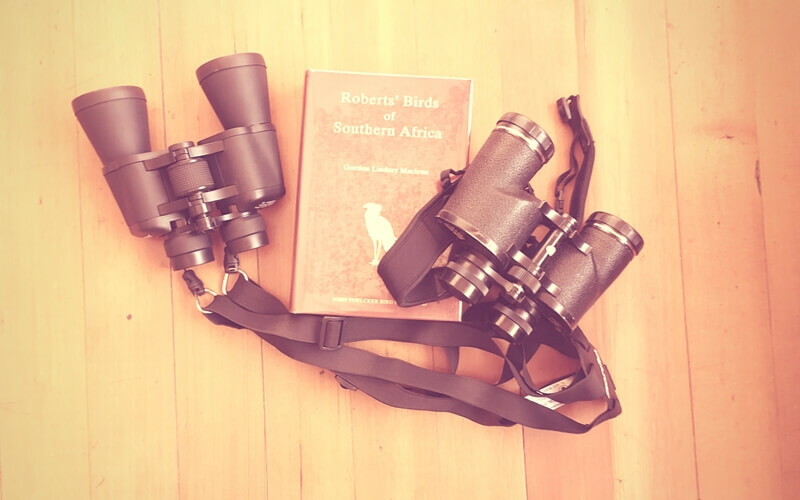 Binoculars are virtually indispensable when outdoors,on occasion we even take ours to Delta Park when walking the JRT as the birdlife is incredible but not always accesible at close range. Unfortunately fine optics are expensive but a worthy investment as they will help in identifying birds and animals that are out of range,some manyufacturers have taken their R+D to the bottom of the range optics so you can get good performance at that level. But it’s an investment and a good pair will last a long time , choose carefully and look at the big camera brands as their optics are generally good, shop around for price and try the bigger camera stores where the salesmen are trained and knowledgeable. The best or most expensive binoculars give a great image ,colour and clarity,however as previously mentioned lower priced binoculars also offer some great options. Generally a 10 x Magnification is recommended for birding and game watching however an 8 x magnification will give better performance iro handshake, as well as a brighter smaller image- it’s a matter of what you really intend to do with the binoculars. This is important , you must be comfortable with the binoculars and how you interact with them,fit.feel and carrying ability are important.See how they feel against your face especially if you wear glasses. The quality of the image is important,as well as the “trueness” of the colour and sharpness of the image.Critical will be the performance in poor light-be carefull as most camera stores are incredibly well lit! Most newer binoculars have “eye relief” which are the eyecups that retract for people who wear glasses or can be extended for those who don’t. Test this feature especially if you wear glasses. Lastly look at field of view and close focus as this will affect how much you will actually see-then look at durability,waterproofing and the carry case as well as the warrantly-in this case buy a reputable brand.